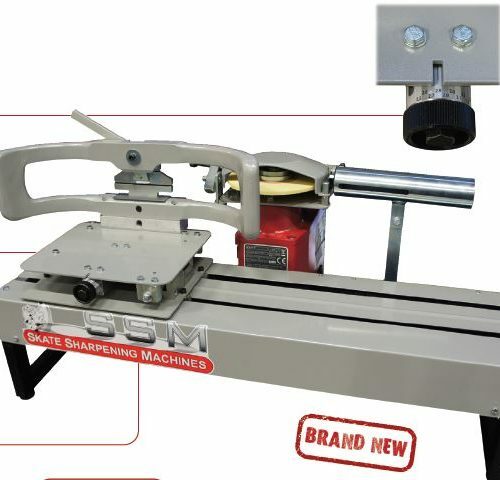 EFFECTIVE AND COOL GRINDING – By using a vertical grinding wheel you will get a very small contact surface between the skate blade and the grinding wheel. This leads to faster removal of material and gives a cooler grind. You will be able to profile a skate in 1-5 minutes. 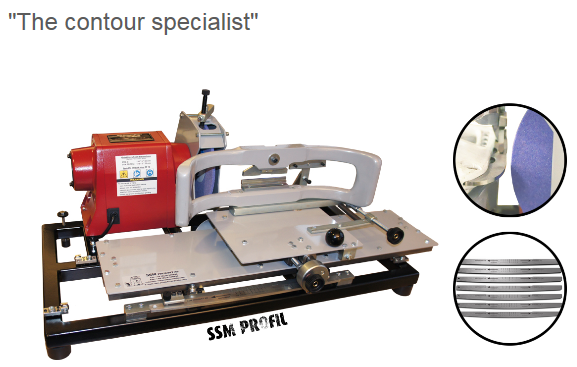 SUPER ACCURACY – The vertical grinding wheel will guarantee a more exact transfer of the contour from the template compared to using a horizontal grinding wheel. Not having sufficient work-pressure leads to bumps and undesireable shape on the skate blade. 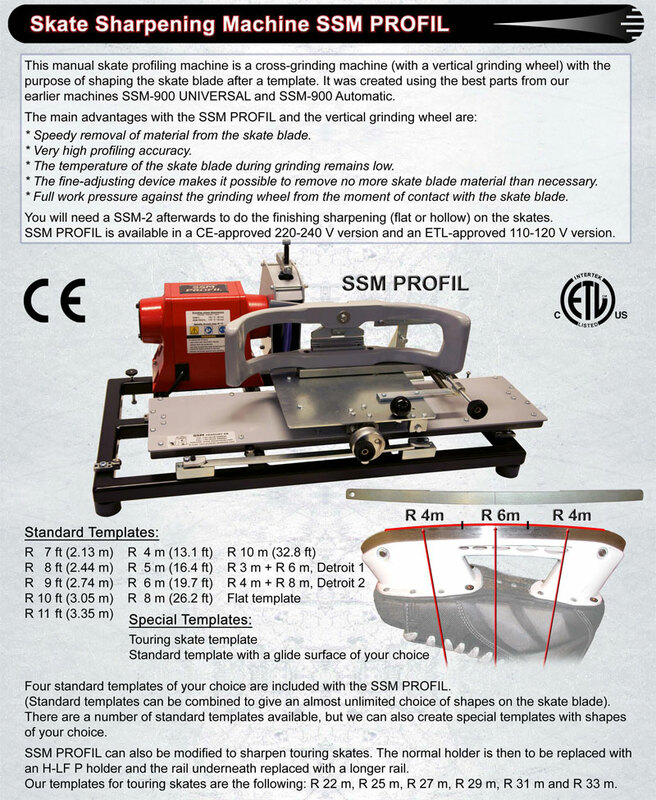 ELMINATE ERRORS – This machine has a fine-adjusting device that will help you align the skate blade perfectly after the template. NEW PITCH/PIVOT SYSTEM – In 2016 we designed an easy system to shift the contour template to alter the pivot/pitch of profiles very accurately. Better acceleration – speed – balance. Even better acceleration – speed – balance. Developed with Sweden hockey institute – several radiuses aligned in a specific angle – Optimize your performance! 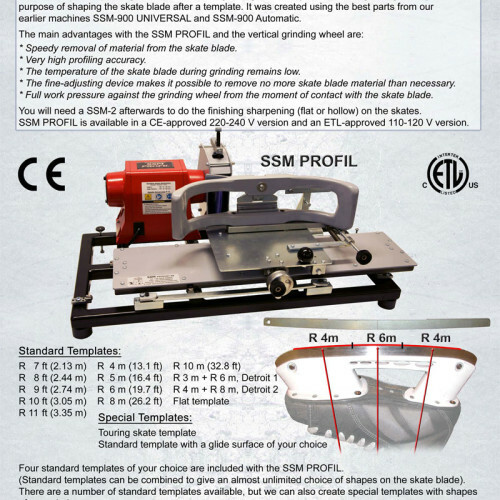 This manual skate profiling machine is a cross-grinding machine (with a vertical grinding wheel) with the purpose of shaping the skate blade following a desired template. It was created using the best parts from our earlier machines SSM-900 UNIVERSAL and SSM-900 Automatic. 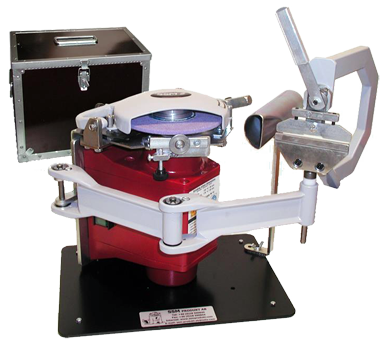 SSM will provide training to ensure the principals of profiling and the execution with the SSM machine is well uunderstood. Speedy removal of material from the skate blade. The temperature of the skate blade during grinding remains low. The fine-adjusting device makes it possible to remove no more skate blade material than necessary. Full work pressure against the grinding wheel from the moment of contact with the skate blade. 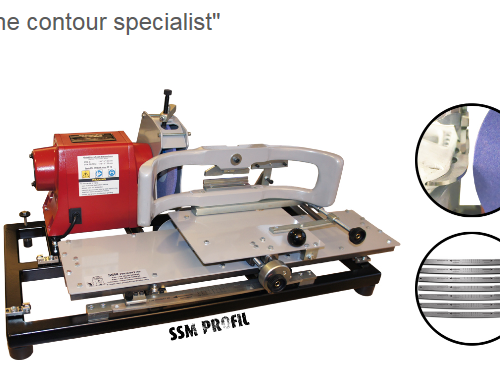 You will need a SSM-2 afterwards to do the finishing sharpening (flat or hollow) on the skates. SSM PROFIL is available in aCE-approved 220-240 V version and an ETL-approved 110-120 V version.